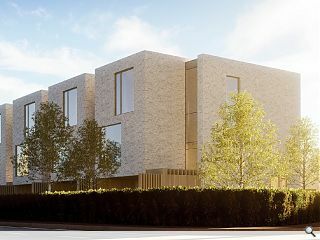 Glencairn Properties have moved on-site with a development of four contemporary townhouses at Woodhall Drive in the village of Juniper Green, on the outskirts of Edinburgh. 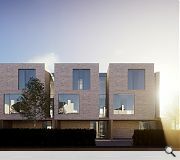 Designed by Lynsay Bell Architects the three storey properties will each house five bedrooms and open plan living spaces with extensive glazing looking out onto south facing gardens. 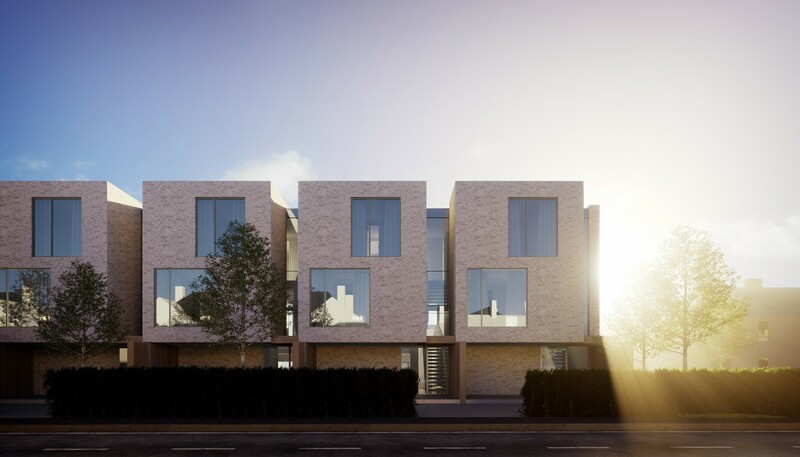 Replacing a disused community centre on the same site the properties also boast south facing terraces on the first floor with views to the Pentland Hills and vertical strips of curtain wall glazing to visually distinguish one home from the next. 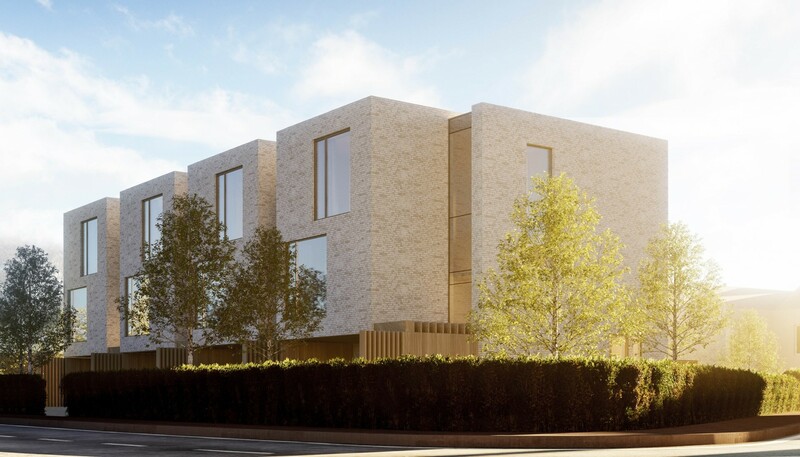 A materials specification places dark bronze matt finished aluminium and buff coloured facing brickwork to the fore, with vertical timber fin screens employed for privacy. 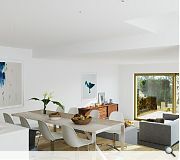 Vertical timber fin screens? That'll be wooden fences then.....? Nod a bad scheme, but ain't taking 'architectural design to new levels'!...looks all to familiar and rather lacking in character. Big boxy brick townhouses that's all....about 10 years to late for the claim.